We in the United States are blessed to have countless beautiful places to visit. Many sites are no less than iconic in quality and notoriety; the Grand Canyon, Everglades, Zion, Arches and without question, Crater Lake National Park in Oregon. Truthfully, I never thought I’d get to see this one as it was just so far from my home in Kentucky. That all changed in 2015 when I got to visit my friends the Campbell’s who moved there a couple of years prior. 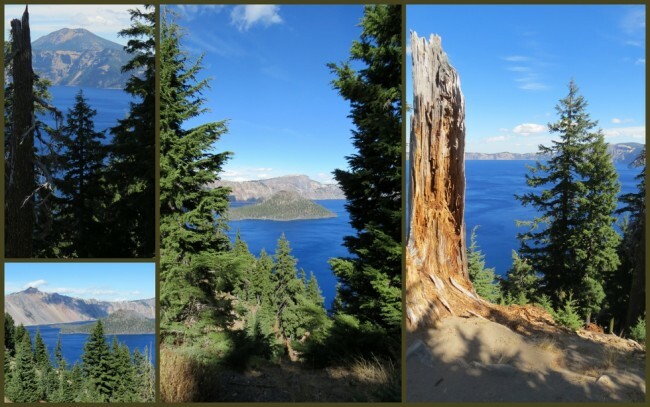 On my first trip to Oregon we simply had to hit the Pacific Coast, but Crater Lake was absolutely on the “A” list of must future sites to see. The lake is an absolutely beautiful and stunning feature. 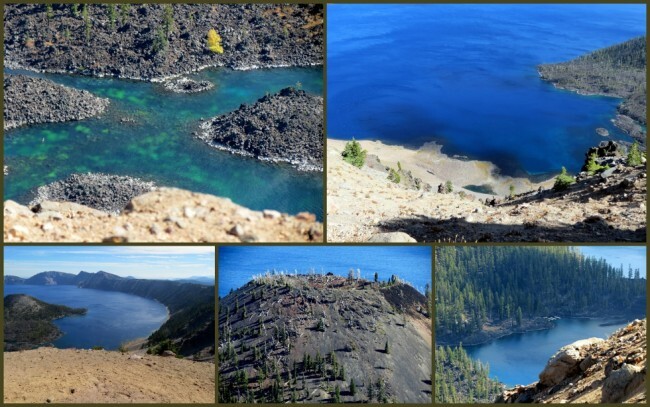 Located in Klamath county about 80 miles northeast of Medford, it is the deepest lake in the US and the second deepest in North America. It was formed about 7,700 years ago with the collapse of the volcano Mount Mazama. The result, a five by six mile wide caldera, now known for it’s amazing depth and water clarity. The number of hues of blue and green you seen in the water is countless. The rim ranges from 7,000 to 8,000 feet above sea level and makes for some great photography and viewing. The deepest part of the lake has been measured at 1,949 feet. This varies somewhat based on the current weather conditions. Mount Mazama (part of the Cascade Range Volcanic Arch) erupted between 6,000 and 8,000 years ago. Subsequent lava eruptions have left behind the features you see today. Debris fans can be seen today along the rim, evidence of ongoing erosion in modern times. There are no rivers or streams that feed or leave the lake. It is replenished by rainfall and melted snow. The rate of water infusion is such that in just 250 years, every drop of water in the lake is completely replaced, staying ahead of evaporation. There are two islands in the lake, the first being Wizard which formed from a cinder cone that came into existence after Crater started filling with water. The second, named Phantom Ship (the smaller of the two) is home to seven species of trees as well as other plant life. While visiting Crater Lake we noticed one extremely bright yellow-leafed tree on Wizard, and only one, a very strange site for sure. One interesting thing about our visit that day, it was without question the windiest place I’ve ever tried to photograph. Even standing on solid concrete sidewalks was difficult and climbing some of the gravel slopes to the rim was impossible for me. Jeff was able to make it up the slope, but as best as I can figure he’s half mountain goat anyway, lucky him. Crater Lake’s climate is referred to as subalpine, high enough to be very cold and heavily affected by the Pacific ocean’s weather patterns leading to massive snowfall events averaging about 488 inches. 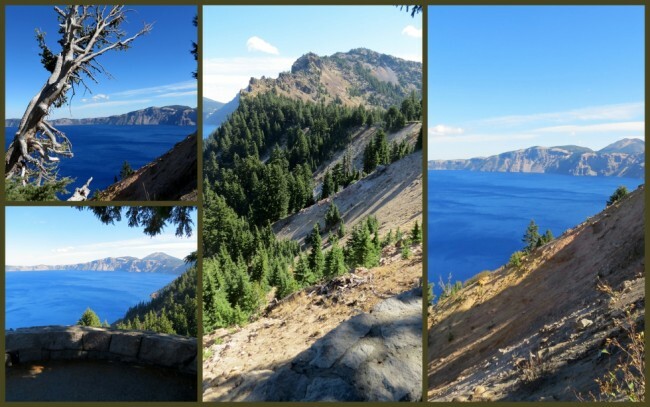 You can still see snow in the Crater Lake area into July. 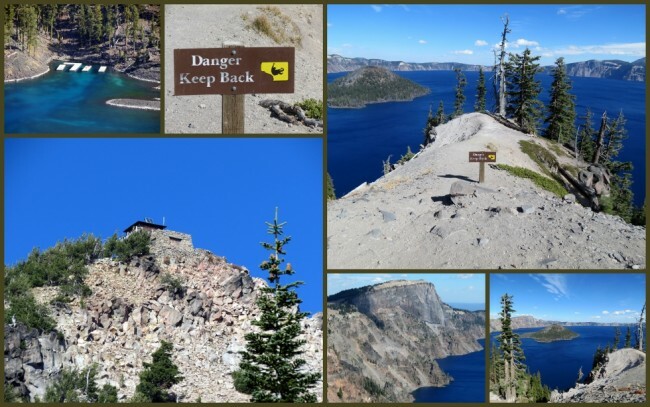 If you decide to visit Crater Lake, make sure to check out their very old and unique historic buildings. Their Visitor Center (or as Jeff calls it Visitor Information Center) is absolutely the smallest and most antiquated that I’ve seen in any NPS (National Park Service) area. That’s not to say it isn’t cool though, it totally “works” in this environment. One interesting side note to this; I didn’t see a single NPS employee in the building. It was all being run by their book store association and volunteers. 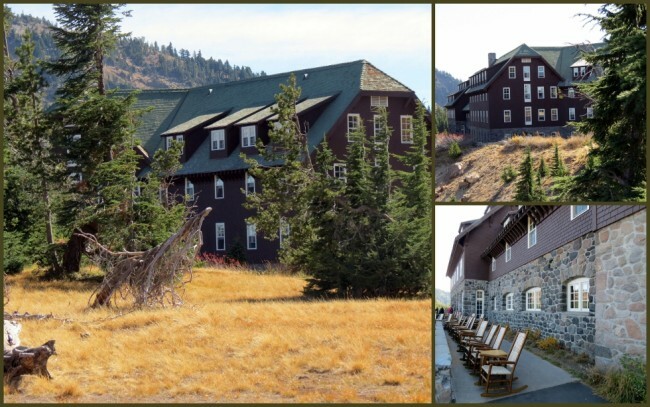 The Crater Lake Lodge, erected in 1915 has catered to countless visitors from all over the world for over 100 years. The construction of the lodge began in 1909 and was an amazingly hard task to complete due to the rough terrain and the eight month long winter season, limiting the building season to just over three months per year. In it’s earliest days the accommodations were considered substandard, but through a series of upgrades, the most significant occurring during the 1930s with help from the Civilian Conservation Corps, it’s appearance and appeal were greatly improved. Much effort was put into landscaping and parking lots to enhance the site for visitors. The National Park Service acquired full ownership of the Lodge in 1967 and after much back and forth between the Park Service and the locals it was finally decided that they would keep as much of the original historic building as possible, despite it’s very poor structural integrity. After decades of evaluations and difficult decisions the Park Service began a complete rehabilitation project in 1991. In May of 1995 the Lodge reopened to the public, cost for the project; $15,000,000. Today’s visitor will still find this rustic and beautiful lodge worthy of spending time there. 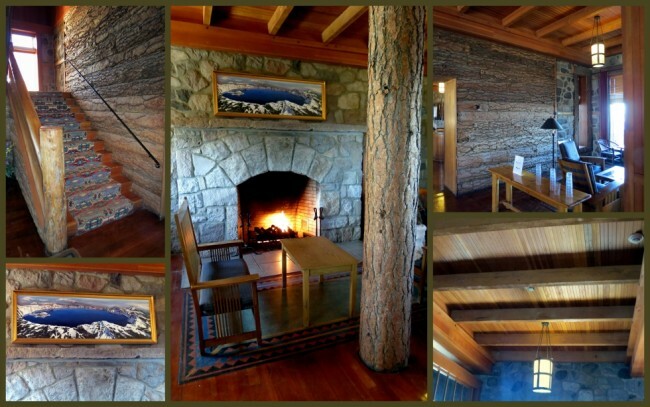 The Park Service did a beautiful job of recreating the feel of the original lodge from the 1920s. It’s made to withstand snow depths of up to 15 feet. Your view of Crater Lake and the surrounding Cascades is unparalleled from the Lodge. You can cruise around the beautiful landscaping, kick back on their lakeside deck, sit by the stone fireplace, step inside to enjoy the very historic and rustic look of the place and even grab a meal if you want to. Their restaurant features a wide variety of delicious offerings, and at prices you can afford. If you plan to visit be advised there are no lodges, gas stations or campgrounds open in the park from mid-October to May. Starting in May you’ll find a variety of options available for staying in the Park. The part itself is open year round, though access in the winter can be difficult and limited. In the summertime you’ll find a variety of activities sure to please, including but not limited to: camping, hiking, photography, boat tours, Interpretative programs, swimming and fishing. In the winter you can take a Ranger-led snowshoe hike on the weekend or try your hand at some cross-country skiing. 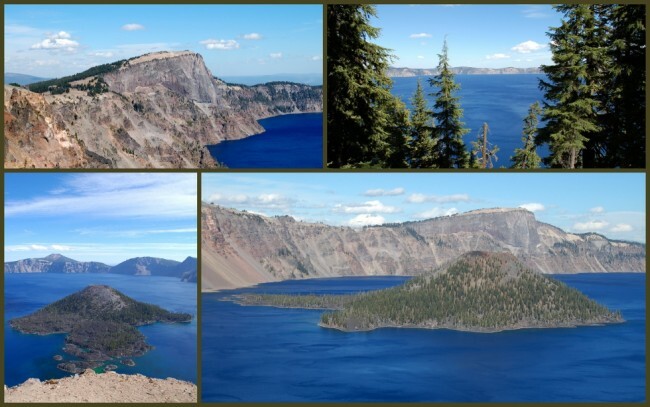 For more in-depth information on what you can do when, check out the Crater Lake NP website. 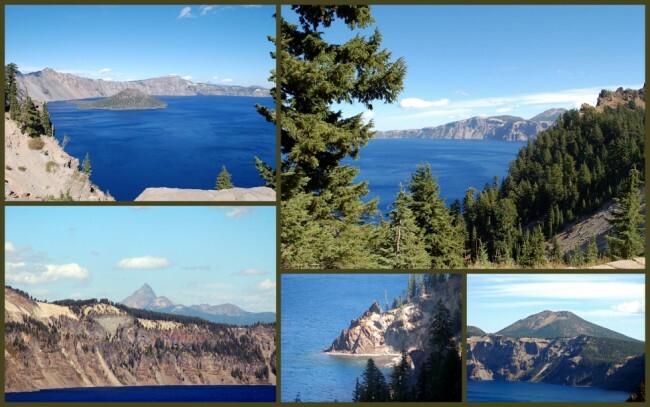 If you love amazing scenery and an atmosphere that can’t be beat, Crater Lake National Park is for you. With my visit, there’s one less item on my bucket list. Last modified on: December 18th 2015.